Funny pranks for kids MUST be age-appropriate and mountains of fun. So whether April Fools day is coming up, the school holidays are approaching or you are in the mood for a laugh… These 36 funny pranks for kids are sure to have you doubled over laughing. 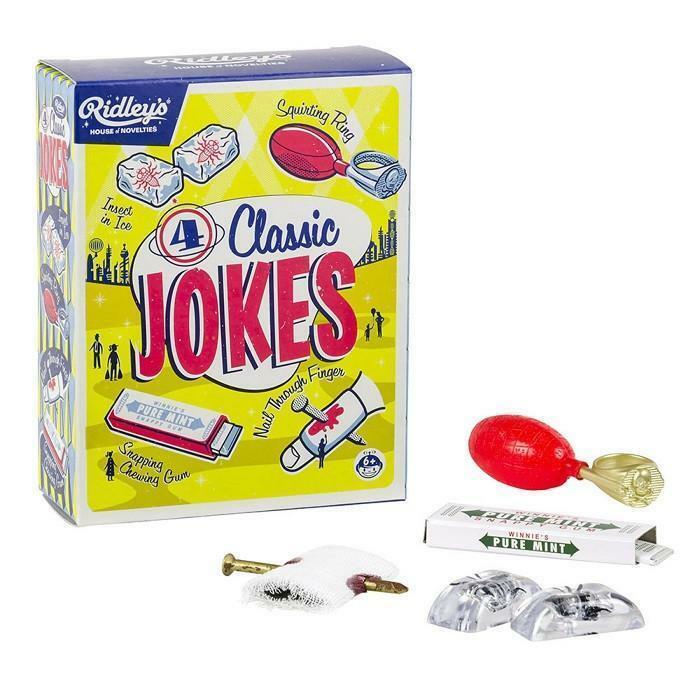 Frighten your family with snapping chewing gum, a nail through your finger, a squirting ring and an insect in rice – all part of the Ridley’s Classic Jokes Pranks Kit. Unravel the toilet paper a bit, and then write on it, “Help! I’m trapped in a toilet paper factory.” Then roll it back up and wait for a family member to exit the toilet confused. Download a broken screen app and make phones or tablets look like they’re broken. Freak your Mum out by putting tomato sauce in your mouth and then coughing into a tissue. But for the sake of your mother’s sanity, don’t let the joke go on too long. Spray some ladies perfume on your brother’s clothes. For a birthday, wrap up something they already own and give it to them. Catch your family doing some massive farts with this whoopee cushion or pocket fart gun. Scrape out the delicious Oreo filling and replace it with toothpaste. The best part about this prank is you can eat the Oreo filling. Get your parents in on the act, and convince your sibling that Saturday is really Friday and you have to go to school. Hide in a closet or behind a door and jump out and scare your family. Put a sultana in a napkin. Then pretend to swat a fly and put it in the napkin. Precede to eat your sultana. Hide all the toilet paper. Put some Vegemite on a phone – and then call it. Change the time on ALL of the clocks an hour forward. Put a drop of food colouring on their toothbrush. As they brush their teeth their mouth will change colour. Fill their shoes with jelly beans. Put some tape on the bottom of the computer mouse. It will stop working. Leave a sponge cake on the bench… except it is a literal sponge cake: a kitchen sponge covered in icing. Find a pair of hand radios and leave one in a room your family uses often. Then make strange noises when they’re in there. Get some brown paper and cut out the letter E multiple times. Leave them in the kitchen. Tell your family there are ‘brownies’ in the kitchen. Cover the soap with nail polish so it doesn’t work anymore. Put tape over the TV remote sensors so it no longer works. No telly tonight. Dress with all your clothes on backwards, but act like nothing’s wrong. Put a few tissues at the front of your family shoes so they think their feet grew overnight. Put some tape over part of the kitchen faucet so that water squirts out. Make your family think a pirate is nearby with this sound effect simulator. Draw faces on the eggs sitting in the fridge. Use a sharpie to draw a spider on the toilet paper. Buy some normal doughnuts and cover them with baby powder. Then hand out your ‘powdered’ doughnuts. Switch the sugar and salt in their shakers. Yum. Tape one side of the light switch so they can’t turn it on. The boogie man will seem much scarier. Put a ‘For Sale’ sign out the front of your house. Stick giant googly eyes on inanimate objects all over the house. Buy them here. Create a marshmallow tree by sticking marshmallows on the end of branches. Freeze plastic eyeballs in ice-cubes and put them in drinks. Wait for them to melt. Leave out a bowl filled with both M&M’s and Skittles. A devilish mix of sweet and sour. Chosen Your Funny Pranks For Kids? Then collect the necessary materials, plan your prank and sit back and laugh! 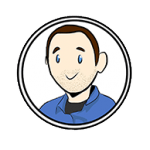 Whether you’re looking for funny pranks your kids can do themselves, or hilarious pranks to do TO your kids, you’re in the right place. We have the funny pranks for kids ideas you’re looking for. And if you’re going to be pranking your children, afterwards is the perfect time to surprise them with a fun kids gift. You’re a kid and you’re looking for some funny pranks for kids. If that’s the case, you’re DEFINITELY in the right place. In fact, once you prank your Mum or Dad and they’ve calmed down from your funny pranks for kids, you can tell them you got the idea from Yellow Octopus. Then drop the hint that Yellow Octopus has plenty of gifts for kids they might want to take a look at.